For today's card I pulled a new stamp called Blossoming Tree. 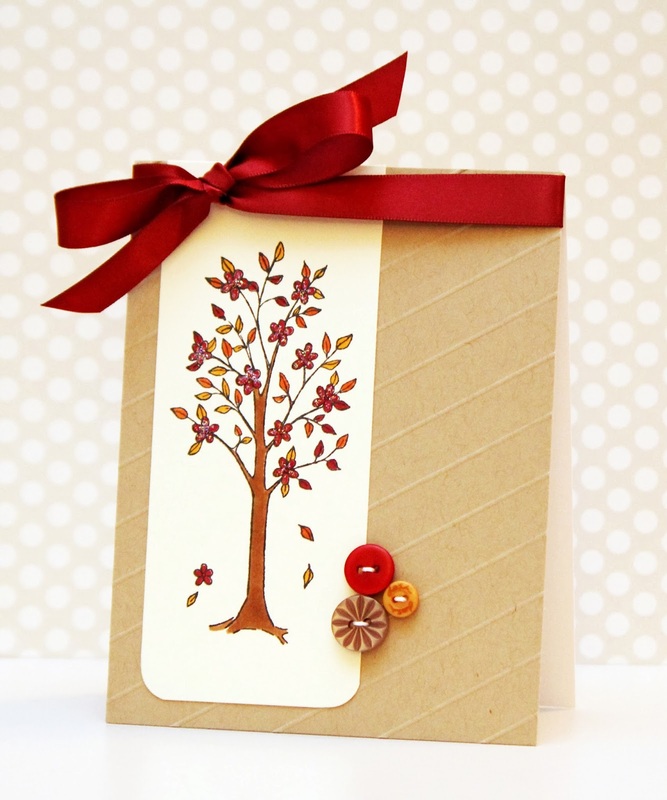 I wanted to create a fall card, and this tree stamp works beautifully for fall cards, using red, orange, and yellow Copic markers. To create the diagonal background, I used a bone folder on my scoring board and scored the Kraft cardstock every 1/2 inch. A bright red satin bow finishes off the card nicely. There is still plenty of time to play along with this month's challenge: A Button and a Bow! You can find all the details here. Your card just screams Fall Erin! I love the added diagonal lines and the pretty buttons too!